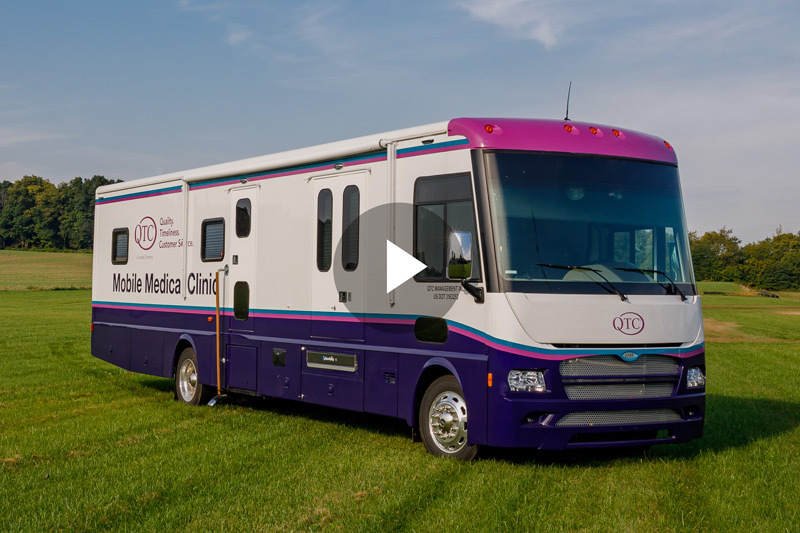 QTC owns and operates mobile medical clinics whose primary focus is to deliver high-quality medical examination services to examinees in rural areas of the United States. As we prepare ourselves with robust delivery healthcare models, the mobile clinics will help us deliver a better exam experience with examinees that usually experience difficulty reaching a clinic or medical facility. By bringing the clinic curbside, we provide the same set of clinic capabilities available with the traditional fixed clinics for examinees in remote and under-served locations. Our goal is to make ourselves accessible in all directions. Whatever it takes, where ever it takes us. QTC mobile clinics are equipped to support a comprehensive medical examination with state-of-the-art equipment. By offering these capabilities in a mobile service, we deliver a higher level examinee experience.